There are 4 Memory Care Facilities in the Pueblo West area, with 1 in Pueblo West and 3 nearby. The average cost of memory care in Pueblo West is $3,800 per month. This is lower than the national median of $4,650. To help you with your search, browse the 4 reviews below for memory care facilities in Pueblo West. On average, consumers rate memory care in Pueblo West 5.0 out of 5 stars. Caring.com has helped thousands of families find high-quality senior care. To speak with one of our Family Advisors about memory care options and costs in Pueblo West, call (855) 863-8283. There are around 71,000 people in Colorado living with Alzheimer's disease. In Pueblo West, 15 percent of the city's 29,000 residents are aged 65 and over, the age group most at risk for the condition. There is one memory care facility in the city offering support to people with dementia and a further three in nearby Colorado Springs and Pueblo. These facilities are monitored and licensed by Colorado's Department of Public Health and Environment. Facilities in Pueblo West and throughout the state that offer care to people with dementia must provide specialized training to staff. There must also be secure buildings and outside areas for residents. The summers in Pueblo West are warm, with average high temperatures in July of 91 degrees. By contrast, the average low in January is 16 degrees and the city has around 23 inches of snow each year. When touring facilities, families may wish to ask staff about plans to keep residents comfortable during extreme weather events. Sperling rates the cost of living in Pueblo West at 106, six points higher than the national average of 100. Although many necessities in the city are more expensive than the U.S. average, healthcare is rated at 93, which is seven points below average. This may allow families of seniors with health conditions to put more money into their memory care budget. The Pueblo West area is home to world-class medical facilities, such as Parkview Medical Center, in the event of medical emergencies or illness. However, seniors looking for a hospital with a specialized brain health and dementia care unit may need to travel to Aurora, over 110 miles away. 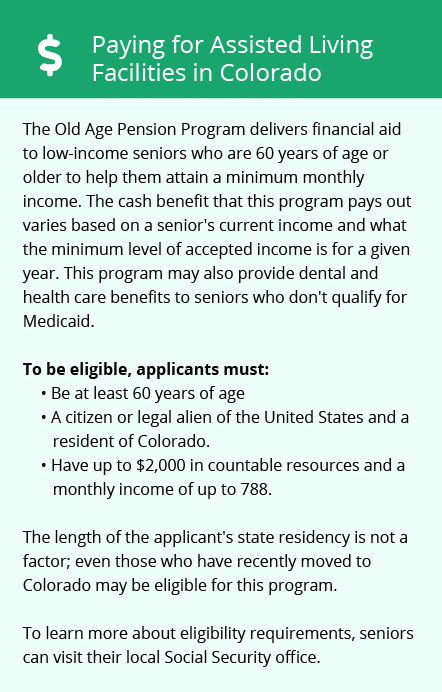 All forms of retirement income are subject to income tax in Colorado, but there is a large deduction available for taxpayers aged 65 and older. While sales taxes in the state are fairly high, groceries and medications are exempt, which may mean that seniors and their families have more money available for memory care in Pueblo West. Memory Care costs in Pueblo West start around $3,800 per month on average, while the nationwide average cost of memory care is $4,799 per month. It’s important to note that memory care rates in Pueblo West and the surrounding suburbs can vary widely based on factors such as location, the level of care needed, apartment size and the types of amenities offered at each community. Learn more about these programs, plus who’s eligible, on our Memory Care in Colorado page. For more information about different ways to finance memory care, visit our Memory Care in Colorado page. Pueblo West and the surrounding area are home to numerous government agencies and non-profit organizations offering help for seniors searching for or currently residing in an assisted living community. These organizations can also provide assistance in a number of other eldercare services such as geriatric care management, elder law advice, estate planning, finding home care and health and wellness programs. To see a list of free memory care resources in Pueblo West, please visit our Assisted Living in Colorado page. 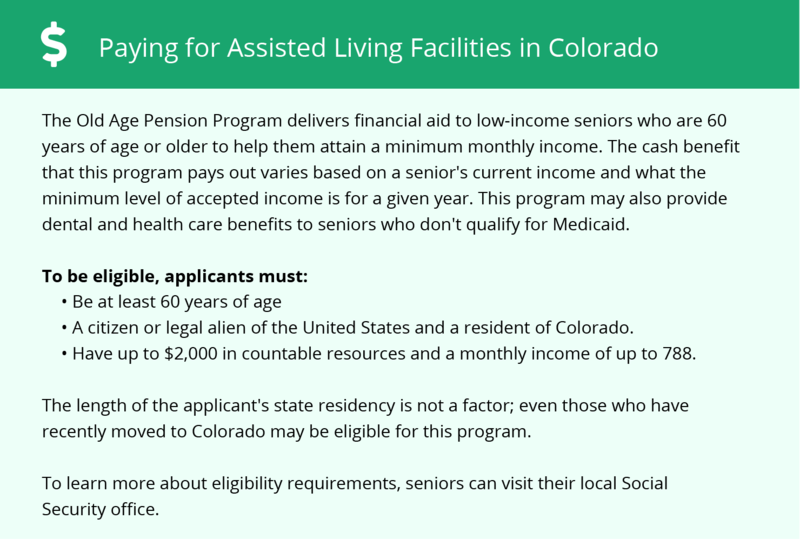 Pueblo West-area assisted living communities must adhere to the comprehensive set of state laws and regulations that all assisted living communities in Colorado are required to follow. Visit our Memory Care in Colorado page for more information about these laws.